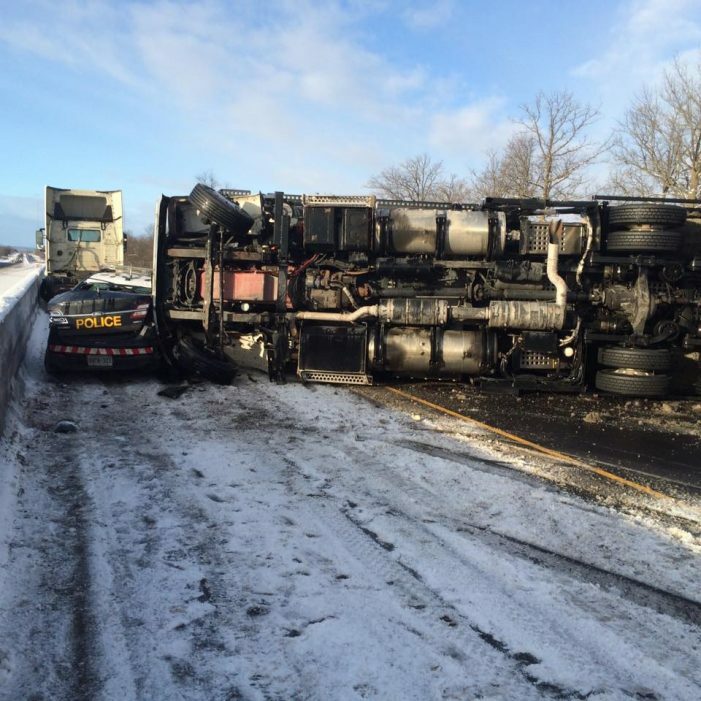 Cornwall Ontario – An OPP officer was lucky to walk out from a massive collision on the 401 near Belleville Saturday. 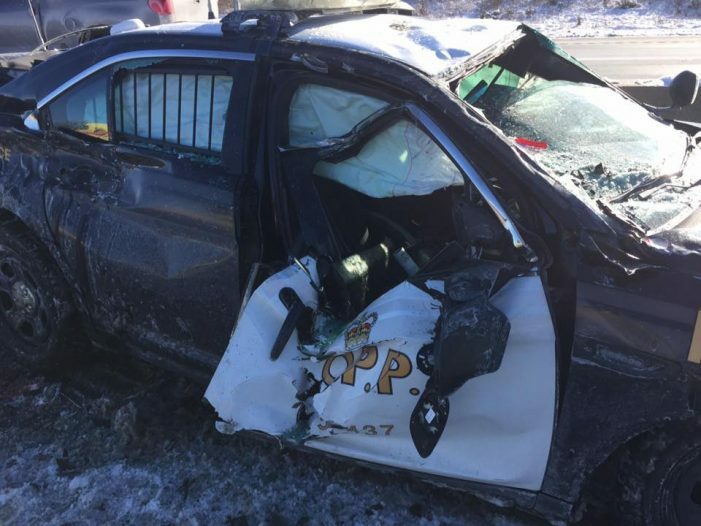 Early reports indicate an OPP cruiser had its lights on and that due to some motorists not moving over conditions led to the pile up. It’s amazing that the officer was able to walk out of his cruiser after the event. 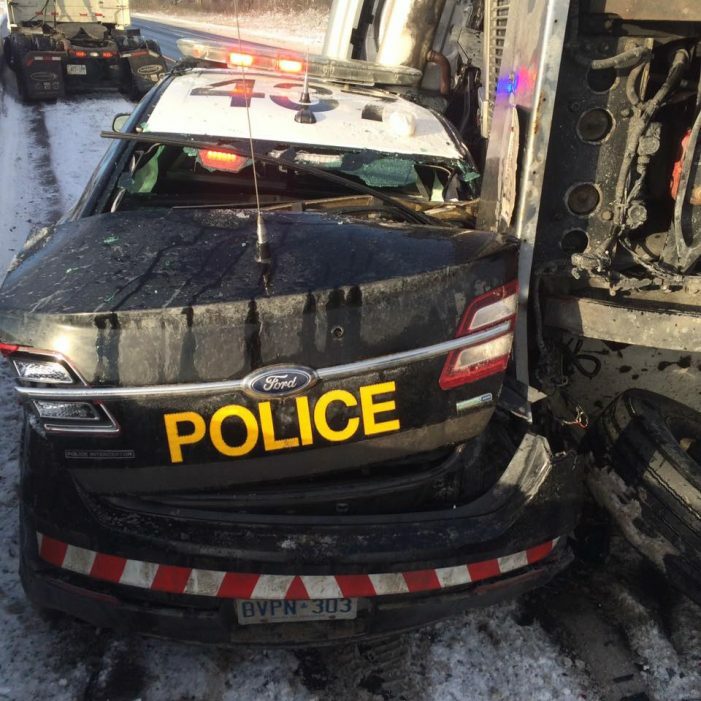 #OPP cruiser on side of #Hwy401 struck by loaded car carrier that lost control, sending a loose vehicle to land on hood of cruiser with officer inside. Very lucky officer not injured.#ThankYou to our members doing dangerous work every day. No injuries have been reported,nor have any charges been laid against the transport driver as of press time. Walk? He’s lucky to be still alive! !